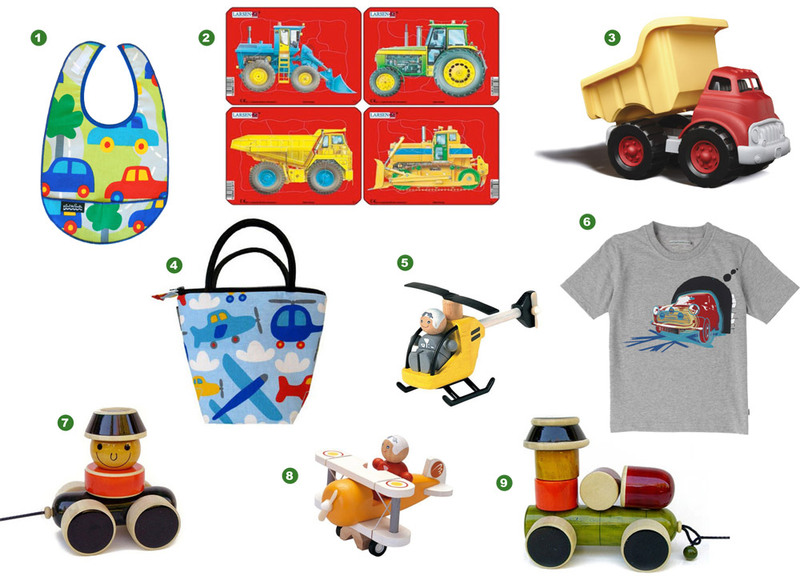 When I started my search for eco products for children — long before Itty Bitty Greenie was born — I was overwhelmed by the selection of “natural” coloured organic onesies and plain wooden toys. Sure they were pure and beautiful, but having looked forward to the time when I could buy things for my own children, I craved a little more colour and fun. After all, making eco choices shouldn’t have to be boring, right? One of the reasons I started Itty Bitty Greenie was because I wanted a chance to share some of the wonderful eco fashions for children I’ve discovered in recent years. As a fashion-concious person and soon-to-be mum, I looked forward to the day I could dress my little ones in all things colourful, fun and funky – and I had no intention on compromising my eco values to do so. I would rather have a few high-quality and unique organic pieces in my baby’s wardrobe, than a whole bunch of cheaper onesies that were probably made unethically and with the use of harmful chemicals. So when I stumbled upon the California label Tomat for kids, I was immediately drawn by the vintage-inspired looks and gorgeous screen-printed designs. Efi Latief is the designer of the brand, and her background in graphic design, (as well was her experience of being a parent) inspired her to create limited-production prints by hand using eco-friendly water-based silk-screen inks. Each piece in the Tomat collection is made from 100% certified organic cotton, home grown in California. The retro banana seat bicycles onesie and the bright and cheerful dandelion onesie (pictured right) are two of my favourite designs. And if I’m ever in need of a baby shower gift, the clever designs of the “Love Stinks” and “Sweet, Sour” onesies are always sure to get a smile from new parents. Even better, I love supporting other like-minded parents in business who inspire and delight with their hand-made creations. My little guy has out-grown most of his Tomat pieces, but luckily my baby girl has a few new designs to try. Discover the entire Tomat organic collection here at Itty Bitty Greenie. Baby’s first Christmas is such a special time, and we all know new parents are often in need of not just cute clothes but baby essentials like skin care, baby bottles, swaddle blankets and pacifiers too. Why not give them something that’s not only useful, but all-natural, organic and safe too? 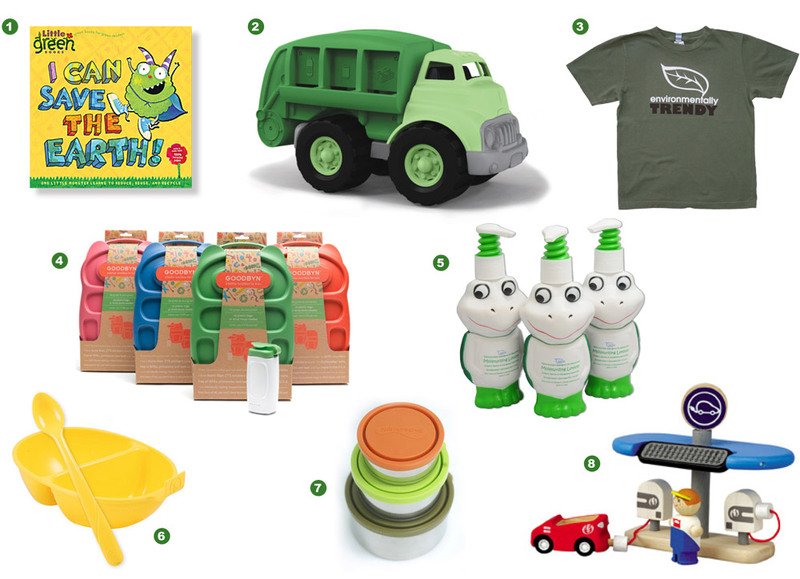 Here’s our eco-fabulous gift guide for those Itty Bitty Babies in your life. You’re never too young to start earth-friendly living, and for those who like to create a dialogue with their children about the importance of loving mother earth, we have some great gift ideas for you that are sure to inspire conversation and good greenie fun. My son loves his trucks and trains and planes and … well, basically anything that has an engine and moves. If you have a little one in your life with the same kind of locomotives obsession, you know what it’s like to always be on the lookout for new and interesting things that will appeal. So here are some of my favourite Greenie picks found on my never-ending journey of plane, train and automobile spotting. Welcome to December and the start of the silly season! I know how challenging it can be to find that perfect Christmas gift for those little people in our lives who have big personalities – especially when there’s so much to choose from. So over the next few weeks, I’ll share some of my favourite eco-fabulous finds from Itty Bitty Greenie that are sure to suit all the littlies in your life – from the Itty Bitty Rockstar to the Itty Bitty Eco Warrior and the Itty Bittiest Newborns too. I’ve always admired those ultra-creative types who have a wonderful way of injecting their personal style into everything they do, and I recently met an Australian mum who has achieved that with grandeur for her boutique clothing label Paper Wings. Michelle Fallon and her partner, Jason Gibaud, have an “art meets life” story, as their backgrounds in costume design, feature film production, architecture and interior design motivated them to create truly unique and inspired clothing for their own little girls. Fallon and Gibaud have worked on the sets of such movies as Star Wars, Moulin Rouge and Peter Pan, creating elaborate clothing meant for the big screen. So when it came to dressing their own little ones, you can understand why mainstream labels didn’t quite cut it. The two strive to create beautiful clothing meant for play, and inspired by a child-like sense of imagination and fantasy. While Paper Wings has been around for a few years and has fans all over the world, I am more excited about their newest extension of the brand, an all-organic line of clothing for babies aged 0-2 called Little Wings. Each piece in this collection is made from the finest 100% organic cotton jersey to ensure softness on baby’s delicate skin, and on first impressions alone, anyone can see that these are special pieces. You’ll find frilled leggings printed with a gorgeous pattern of storybook dolls, and dresses emblazoned with fairies, pixies and other enchanting characters - all designed to spark the imagination of your baby girl while hard-wearing enough for a day of play. Check out our favourite pieces from the Little Wings collection at Itty Bitty Greenie, and let your imagination fly! Remember bringing your baby home from the hospital and that teeny-tiny onesie you picked out especially for the occasion? For many parents, finding adorable children’s clothing is one of the fun parts of the job, so most of us would rather not think about the fact that cute little outfit might have been made using pesticides, flame retardants, heavy metals and other harmful chemicals. But considering the potential health effects these chemicals could have on children, it might be worth a little more consideration. Most of us know that organic materials are considered “better” when it comes to clothing … but do we really know WHY this is so? And when you consider that many organic products are a little more expensive than the items for sale at many major clothing stores, do you ask yourself if it’s really worth it? And when it comes to production, organic farming means the soil used for growing cotton and other natural fibres is free from pesticides, herbicides and chemical fertilisers, and is generally more gentle to the environment. Conventional cotton farming does have a dark side, and once I did a little more research on the subject, it really had me thinking. For a great article revealing some fascinating facts about world-wide cotton production, click here. Hmmm, when you consider all those chemicals that end up not only on clothing, but swirling through the water supply in the midst of production, suddenly spending a few extra dollars on organics doesn’t sound so bad. And the good news is there are so many great companies out there producing quality organic clothing that is adorable, safe and durable. Here are a few of my favourites. Well Spotted is an Australian-made brand and their organic line of T-shirts is oh-so eco-trendy. Green-eyed Monster is a British brand making very urban and very cool garments that are 100% certified organic. All aspects of production, from dyeing, printing and production – right down to the buttons on those baby garments is certified non-toxic and they follow a fair trade ethos as well.